No names, no phrases, no words. Solid White or Natural Color only Floppy, Monogrammed Hat. 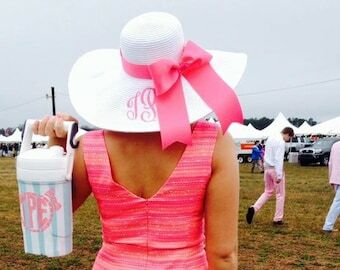 This is a 3 letter monogram hat only. 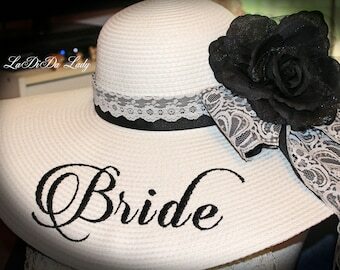 May include ruffled or flat hat band and matching bow or just a thin ribbon band. Bows and flowers shown in pictures are samples only. You may customize yours! Please email for in stock ribbon and/or flower colors. Not all colors are in stock! Ribbons in stock vary. Some colors may be a special order item and may take slightly longer to receive. Ribbon is commercial heavy grosgrain. Bows are coordinated to your ribbon hat band. The hat band and bow that are handmade & shown in the above pics are removable and repositionable or you can wear your hat plain! Peonies, larger specialty flowers and specialty ribbons ex. Laces, silks, etc. are NOT included in this sale. A special sale can be set up for you! We also have these listed in my etsy shop! This sale is for the WHITE or Natural solid Hats shown in the pictures. Other styles are listed in my shop and are not included in this sale. We also have 2 tone, PINK, black, navy, coral, natural, cream, color block, aqua or red hats and are listed in our Etsy Store. Approximate 21-22 inch brim, no larger. Full names can be monogrammed but are NOT included in this sale. Water bottle/accessories in pictures not included. See my shop for full name listing. NO BRIDE HATS, STATEMENT HATS, ETC. ARE INCLUDED IN THIS SALE. 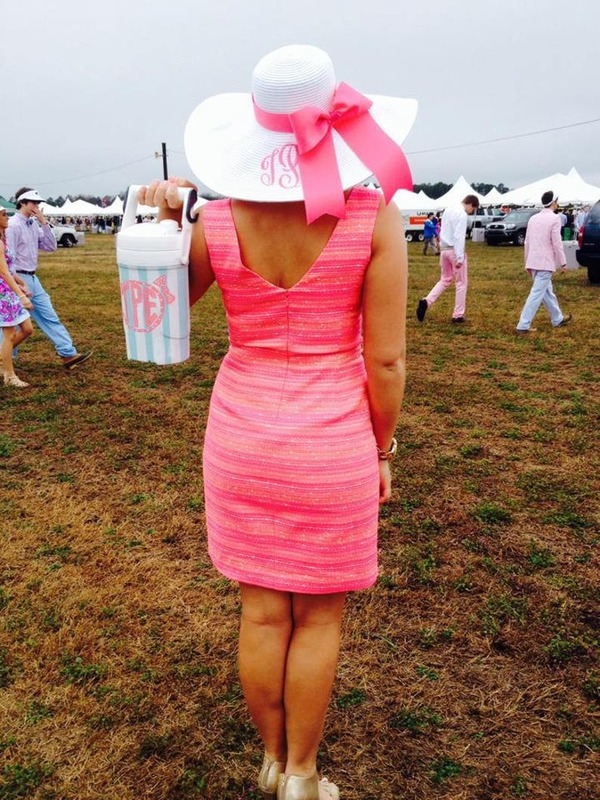 3 letter monograms ONLY. The specialty hats are listed in my etsy shop. All PayPal accounts must show as confirmed and verified before I can ship. Please & check with your PayPal. UsuallY shipped within 1 week after your design approval unless shop is in vacation mode! Shipping is calculated by weight and zip code. This but was beyond perfect for my tea party bridal shower it really brought my whole vision to life! It’s perfect! Exactly what I wanted. Communication was fantastic and it was received in no time at all. Thank you!